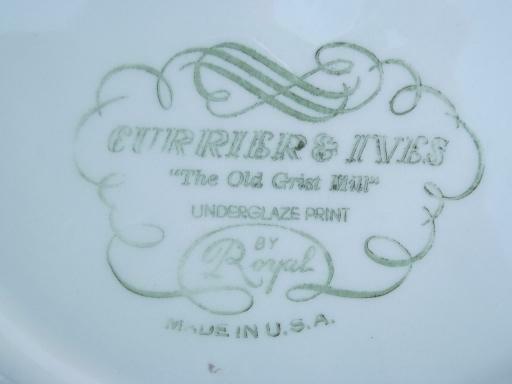 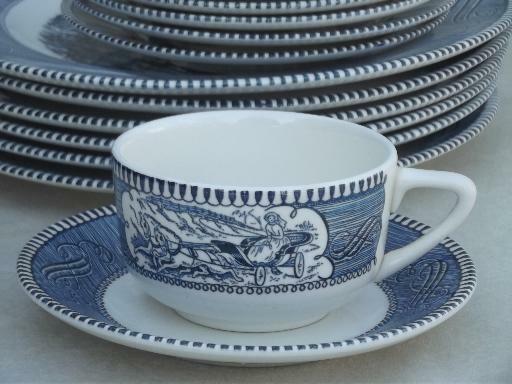 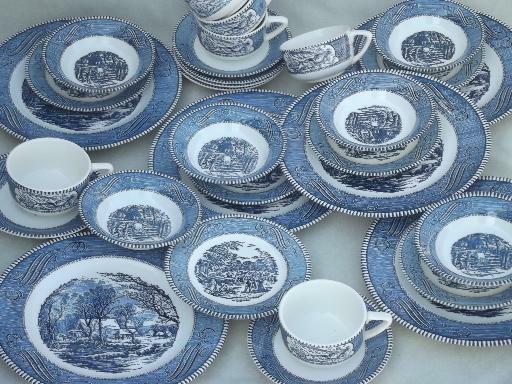 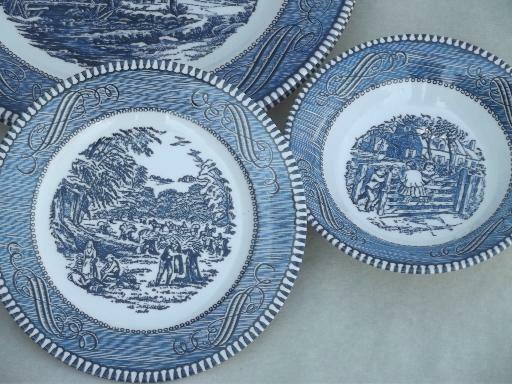 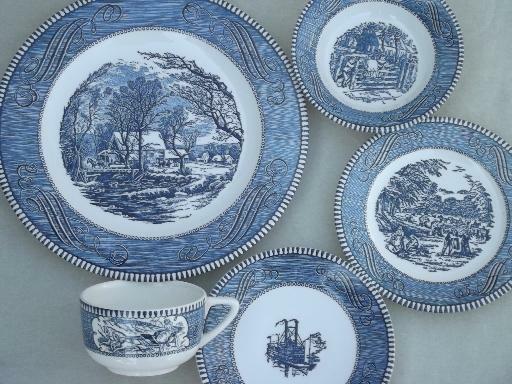 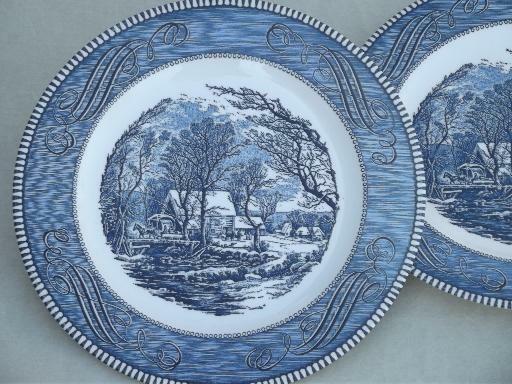 Vintage Currier and Ives pattern china, a set for six, all in excellent condition without damage or wear. 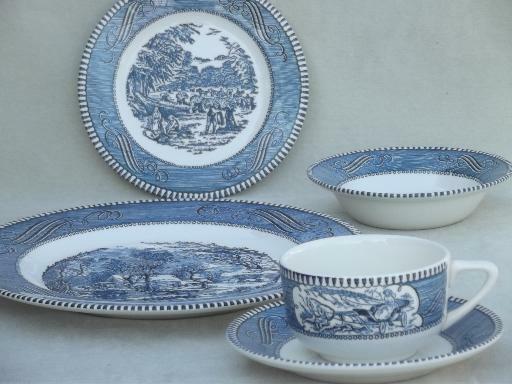 It's a lovely set! 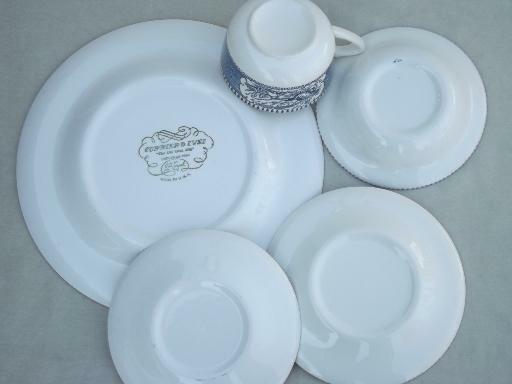 There are six each of 10" dinner plates, 6 1/4" side plates, and 5 1/2" diameter sauce bowls, and six each of cups and saucers.